This was initially going to be three separate articles. But they are fairly close in concept so I decided to just lump them all together. Let’s start with the free shall we? Since I’m sure that’s the word that caught your eye. Would you like to receive a FREE PlayStation 4 AND Xbox One?? Well all you have to do is become a manager for one of the 6,500 GameStop locations. That’s right; every GameStop manager will be getting both a free Xbox One AND a PlayStation 4. On top of that, Sony will be sending these lucky retail leaders 7 games to go along with their shiny new PS4. Those games include Killzone: Shadow Fall, NBA 2k14, Madden NFL, FIFA 14, Need for Speed: Rivals, Battlefield 4 and the PS3 game Beyond: Two Souls. There has been no official statement whether or not any software will come with the gifted Xbox One. 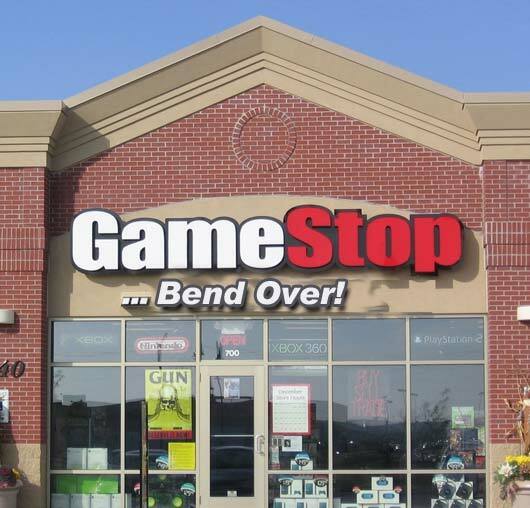 “We will continue to be the most knowledgeable source for buying a new console and related games and accessories,” Said president of GameStop Tony Bartel. That is a nice little incentive for its store management. Considering that by my calculations they are all basically getting over a $1,300 bonus before the holidays. Not too shabby if you ask me. But maybe you don’t work for GameStop. Maybe you instead work for Microsoft itself. And if you do… you will already know this information so you might as well skip down to the next section. For the rest of us unworthy types listen up. 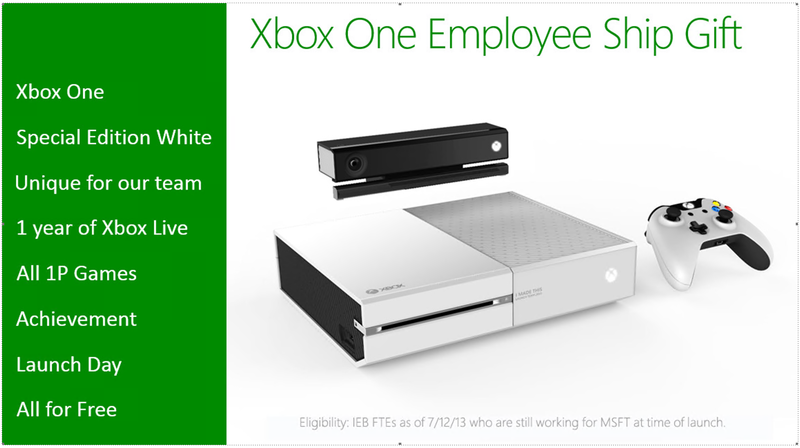 There is going to be a white variant to the Xbox One console. (pictured above) But it doesn’t look like we’ll be able to get our commoner hands on it, at least not for the time being. Microsoft has revealed that employees will receive this special white version of the next-gen Xbox and controller that is “unique for our team.” A cool little feature to note is the words “I Made This” engraved next to the disc tray. Of course even if a white version hits retail, it will obviously lack that mark. But I know what you’re thinking. “Sloth, why do I care about this stuff if I can’t have it?” Well this is a news site, and the above is considered news. Maybe you should be a little more patient readers… god, I can’t take you anywhere. So maybe you don’t work for either companies and you’re not too thrilled about changing careers (it’s a scary economy right now). Never fear though, we still have the “Blue” left! And this one can actually be yours! Sony wants to adhere to their players that might not be too keen on the color black. 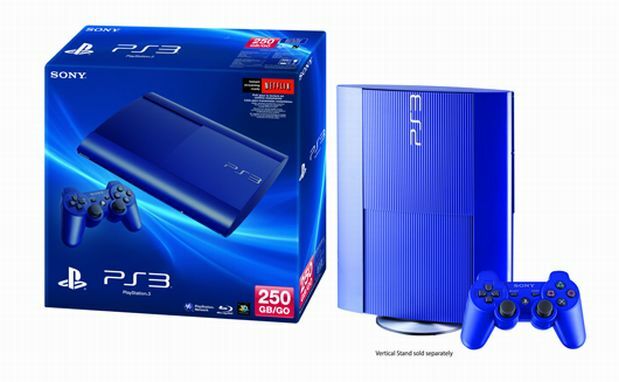 So they will be releasing a GameStop exclusive “Azurite Blue” 250GB PlayStation 3 console. (blue is the new black you know… or was it orange?) This deal of course is geared to the late bloomers of the current gen-systems. Or maybe just the home decorator that thinks the Blue will go better with the living room’s satin rug. It’s all about the feng shui my friends. This formally Japanize exclusive color will be purchasable through GameStop starting October 8th for $249.99. Please note that the “Asurite Blue” is for the PS3 NOT the PS4.